Ooooh, I’d never considered ride quotes before! So, now that’s an option. More movie quotes are an option. My leading idea is “I hope we never lose sight of one thing” along the top; and “It was all started by a mouse” along the bottom. I really love IllumiNations and am a little disappointed I only saw it twice. Better than not at all. And I totally agree about guilt-free dining. I had been pretty careful about what and how much I ate prior in the trip. It was great to just cut loose and pig out. Sounds like a fun day! I had no idea there was even a second story in the Japan store. What type of stuff is up there? And is there an outdoor area that you were able to watch Illuminations from or is that from inside? Congratulations on some great races! Thanks so much for taking the time to share your trip. I have been living vicariously through these trip reports this year. Interested to see what went wrong at Universal? ’Ohana has always been a family favorite and simply a moral imperative to visit after the Marathon or last night of the trip (during a non-running trip), sorry it was not as good this go around for you. But next time my family will have to checkout Boma based on your feedback! There's a restaurant up there, but I'm blanking on what it is. Around the outside of the restaurant dining area is a deck, which is where I shot from. Plenty of people came up there just to watch. I recommend checking it out! Thanks! The Universal day will come up soon. Spoiler alert: nothing catastrophic went wrong, but we were pretty vacationed out at that point and Universal didn't suit us very much (with a couple of exceptions). I still love Ohana and will definitely be back. It's my second favorite Disney restaurant (right behind Boma) and any lack of enjoyment was really my own doing, I just wasn't that hungry. Kind of disappointing, but what can you do? I cannot recommend Boma enough. Be sure to check it out. Baloo in MI and Chaitali like this. lhermiston and Chaitali like this. Thanks! I had no idea you could watch from up there. What a fun day! It is a great feeling to be DONE with the races and just soak up the Disney! I am always impressed with the DATW people - I have to stick with one type of alcohol myself - mixing up beer/wine/tequila/rum etc would NOT end well for me! Boma is my favorite! I actually think I like brunch better than dinner - it's amazing after a half marathon to go in there and stuff yourself! Glad you guys got a good family photo! The SSE is so pretty at night the way they light it up. Your fireworks photos are great too - I have never loved Illuminations myself, and am happy they are updating it, but I know not everyone feels that way. We got up fairly early Tuesday morning since we had to gather up all of our luggage and get it from POR to our resort at Universal Studios. We somehow acquired so much stuff that Hannah ordered another piece of luggage to be delivered to our Universal resort. A lot of it was the 30-odd snacks Hannah bought at the gift shop the night before to use up our remaining snack credits. I think we're done with the Dining Plan after this trip. Too much food and the value doesn't seem to be what it used to be. After packing up, we lugged our stuff down to the cafeteria, had breakfast and I ordered a Lyft. I didn't know how long the drive would take so I gave us plenty of time. The drive to Loews Pacific was short, but checking in took a while. The dude who checked me in kind of breezed through directions and I got us all lost finding our rooms. We had to go back to the lobby and I used luggage services to get our stuff to the room and just followed the guy. Best money I spent all trip, ha ha. After dropping off our stuff, I had to go back down to the lobby to get our tickets. That was a breeze, but they were paper tickets, which made me a little nervous to be carrying around all day, in addition to five keycards that doubled as our Express Passes. The lady said we could buy lanyards, but they were $12 each or something like that. No thanks. With tickets and Express Passes just stuffed in my jacket (it was kind of cool that day, mid-50s maybe), we made the walk to Universal Studios. The walk was pleasant and I liked the layout of the City Walk area as a connection to Islands of Adventure and Universal Orlando, so that was cool. Once inside, we rented a stroller for Maya and then made our way to Minion Mayhem. That was pretty cool and everyone enjoyed it. That said, I knew that most Universal attractions would be similar: 3D attraction with lots of moving, shaking, etc. One or two (Star Tours, for example) is one thing, but a whole day of that could be too much. We're not a big motion ride family; our preferences are definitely Splash, Haunted Mansion, it's a small world, that sort of thing. Anyway, we went from Minions to Transformers. I thought it was fine, but it was too bumpy for Hannah and Maya. I told Hannah I just didn't know what to expect from any of the rides and no one had to ride anything they didn't want to. No sense in pushing it. From there, we set out to find Diagon Alley. 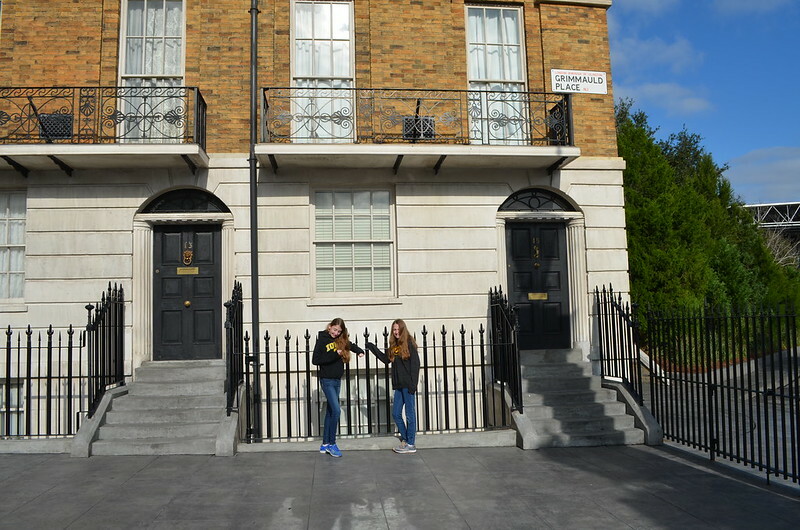 We first found 12 Grimmauld Place and the Knight Bus, which was cool. We walked right past the entrance to Diagon Alley and had to get directions, but as soon as we found it, I was just blown away. The level of detail is just amazing and it truly feels like you're being transported into the movies. It was definitely the highlight of the day for me. After milling around for a bit, we decided to do Escape from Gringott's, though first I had to stash my camera bag and Hannah's backpack. That was a crowded cluster and the number of groups who felt every member need to go in to check a bag was obnoxious. The cost of renting two lockers to go on one ride was small, but just kind of obnoxious. All that said, Escape from Gringott's was spectacular. Everyone really enjoyed it. I wish we had done it a few more times, but we had more of the park we wanted to explore. Since we had the two park pass, we were able to take the Hogwarts Express to Islands of Adventure/Hogsmeade. That was really cool. 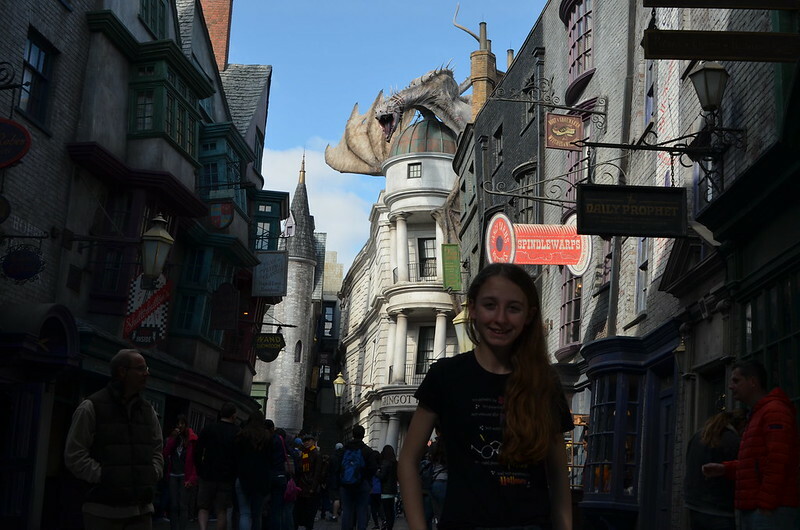 Like Diagon Alley, Hogsmeade looked spectacular. I couldn't tell if it was the chill in the air or if there was a little bit of AC going, but I like how it "felt" cold in the wintry village. Hogwarts was also breathtaking. We all tried to get on to Forbidden Journey, but Maya didn't meet the height requirement. So, Josie, Robyn and I decided to test it out once to see how Hannah would handle it. The ride was great, but I thought the motion was a little much. And, if it was a little much for me, it'd likely be too much for Hannah, so she skipped. 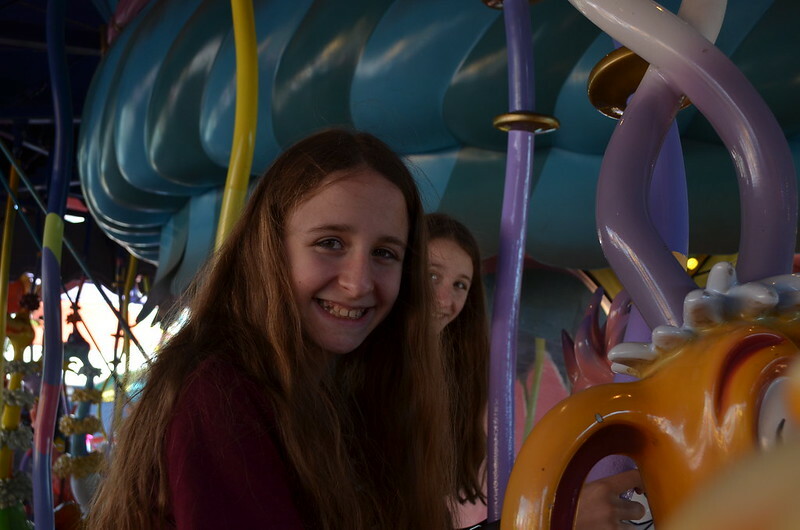 After Forbidden Journey, we rode the Hippogriffs, which was fun, but I felt like I was going to fall out of the carts! Seriously, I clung to the lap bar like my life depended on it. After the Hippogriffs, we had lunch over in the Jurassic Park area. The Jurassic Park ride was down, but I loved how much the burger place looked like the lobby area from Jurassic Park. JP is one of my all-time favorite movies, so I was geeking out just being in the restaurant a bit, ha ha. After Jurassic Park we did Skull Island/King Kong/whatever it's called. I actually really liked this one and thought it was pretty fun. Maya was freaked out by the bats. Hannah was not impressed. I don't think Josie and Robyn said much either way. Even though it was jacket weather and I read Universal water rides are no joke in terms of how wet you get, we decided to do Dudley Do-Right's Ripsaw Falls. We got absolutely SOAKED. My jacket was a rain coat, so that helped, but my pants were drenched. 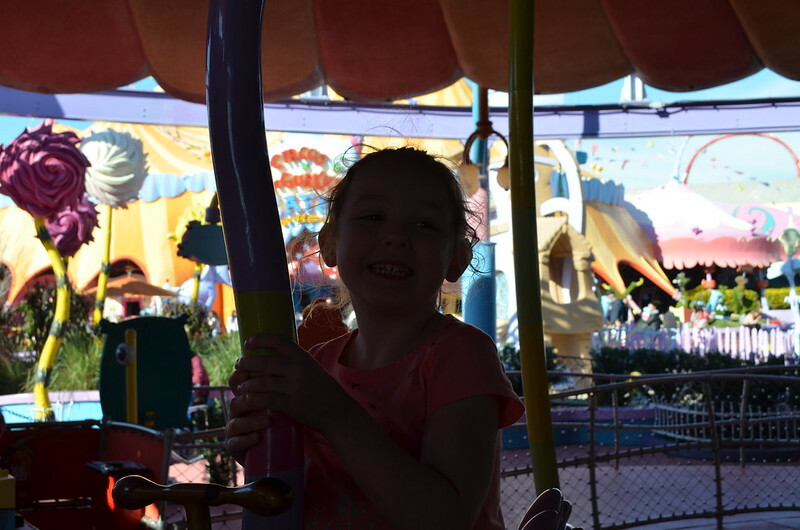 Hannah had a blast and wanted to go again. Since we were already wet, I figured why not? I somehow got even more soaked the second time. Universal got $5 for me to use the walk-in clothes dryer thing that wasn't very effective. Still fairly damp, we headed into the Marvel area. We checked out some of the shops and went on the Spider-Man ride. I've been a Spider-Man fan all of my life, so it was fun to check that out. Pretty cool ride. 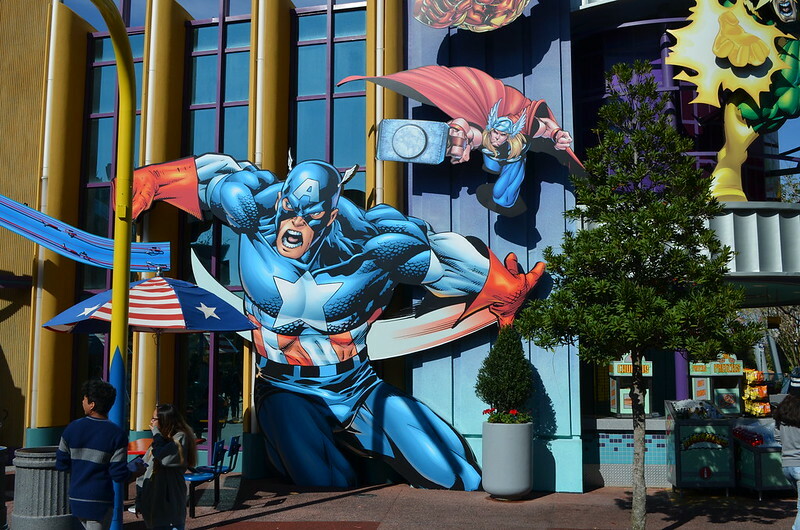 The whole Marvel area was pretty great. 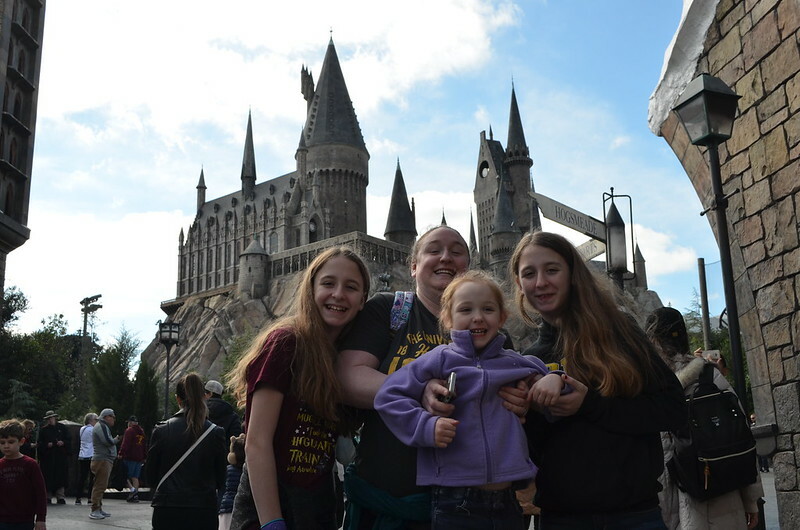 After that, we made our way back to Hogsmeade and took the train to Diagon Alley. 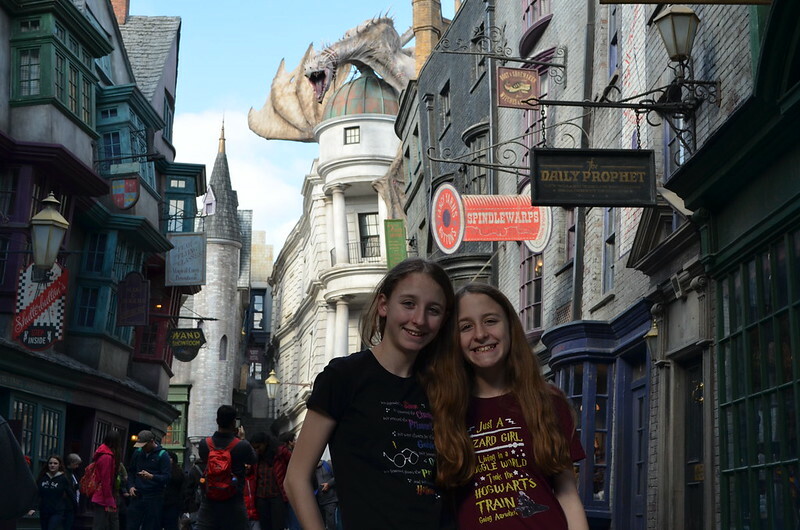 We did a little shopping around Diagon Alley and picked out some souvenirs for friends back home. We then left Diagon Alley and did the Fast & Furious ride. One of my friends is a huge FF fan and a couple years ago, he made us watch all of the movies, including four in one day, so I had to ride it for him. It was about as over the top as you'd expect, but in a dumb and fun sort of way. Kind of like the movies. Next up was Men in Black. Yet again, we had to pay for lockers. At this point, it was getting a little late in the afternoon and definitely late in the vacation. I was getting tired of theme parks, tired of paying for stuff and tired of rides that made my insides bounce all over the place. Men in Black was still sort of fun, up until the point at the end when they spin you around, seemingly just for the heck of it. After MiB, motion ride fatigue was really set in. We had a few rides left on our touring plan, including Simpsons, Jimmy Fallon and maybe one other. 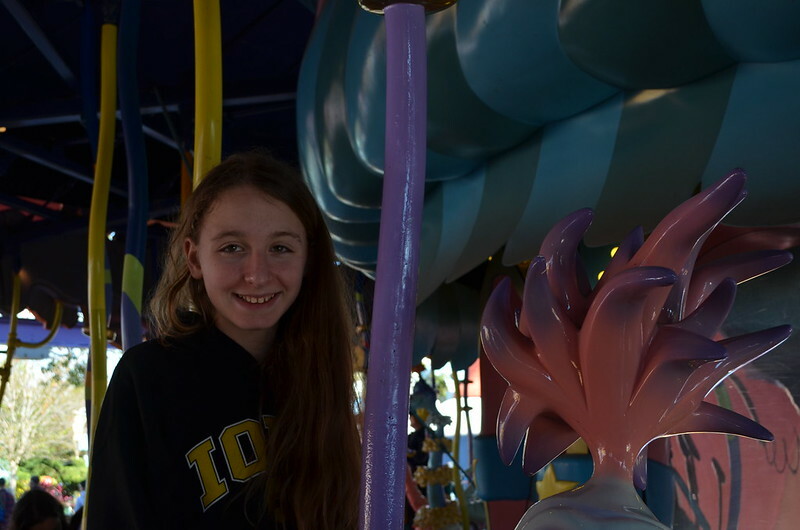 We were close to the Simpsons ride and decided to do that first. So, my wife is not a Simpsons fan and the girls have never watched it. I grew up watching it religiously, but haven't watched in 15 years or more. I could appreciate some of the Simpsons humor and what not, but the ride itself was stomach-churning, especially after a day of those rides. Hannah derived absolutely no joy from it and Maya didn't like it, either. I think the big girls just thought it was strange. At this point, it was probably getting close to 5 p.m. I was done. Just completely over vacation, $50 meals, having damp jeans, motion rides, Universal, everything. I wanted to be in my own bed back home. My back was also getting really sore after 8 days of carrying camera gear. I could sense every else was pretty wiped out, too. I suggested going back to the hotel right then, ordering pizza and just chilling out. Everyone was on board with that plan. Getting back took a little bit. I stopped to do a customer satisfaction survey and pretty much said the whole experience failed to meet my expectations. Universal as an entire park reminded me a lot of Flight of Passage. I can *appreciate* what they're trying to do and the technical work that goes into these attractions, they're just not my cup of tea. Same goes for the family. Walking back to the hotel felt like it took much longer than walking from the hotel to Universal and I tried to order the pizza on the way, but the Papa John's dude claimed to not know where our resort was despite being half a mile away. So, we had to wait until we got back, confirm the delivery address and then order. But, the pizza really, really hit the spot. I don't care what you all say, sometimes Papa John's is just what the doctor ordered. Maya threw a lengthy, massive fit at the end of the night. A fitting end to the day. Vacation was over and we were ready to be home. Final thoughts on Universal: I'm sure for a lot of folks, this is their favorite theme park and enjoy it much better than Disney. Maybe it's the familiarity we have with Disney or maybe it's something else, but we enjoy Disney World so much more. The parks are more immersive, the lands and themes are more cohesive, the upkeep on everything is MUCH better (we saw chipping paint, rust, etc. on attractions and areas) and the employees/cast members are so much better. For me, Universal just doesn't hold a candle to WDW. 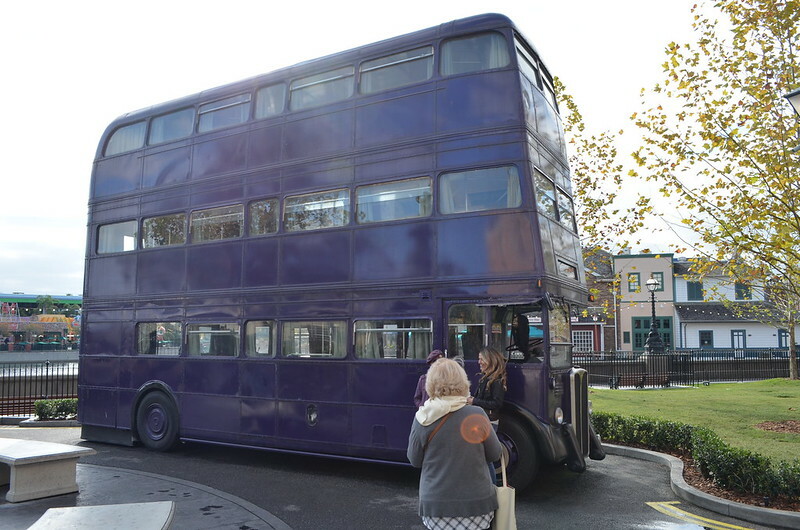 I did love the Harry Potter stuff, but even that felt like a cash grab since in order to get the full experience with the Hogwarts Express, you had to buy a two-park ticket. 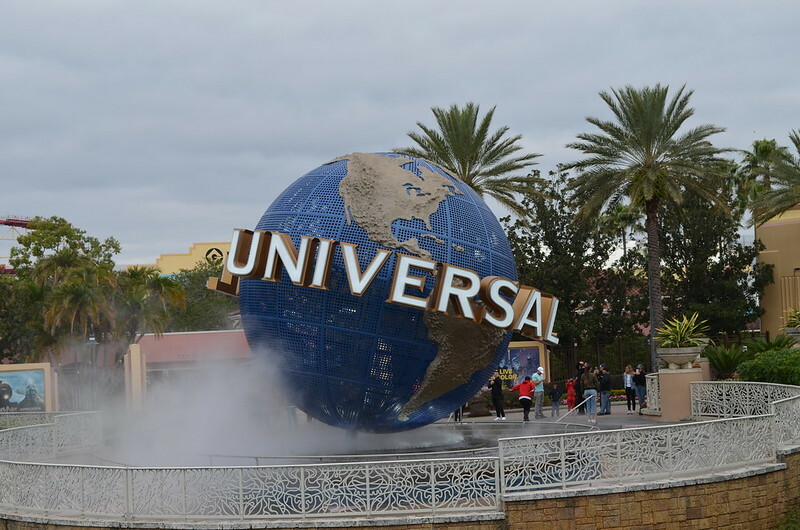 So, I'm glad we checked out Universal to satisfy my curiosity, but I doubt we'll ever be back. kirstie101, PrincessMickey, cavepig and 7 others like this. I normally don't mix alcohol types, either, but I was taking it pretty easy during DATW and I'm of the opinion that Disney drinks are pretty weak (alcohol-wise) to begin with. I haven't checked out the Boma brunch menu, but it's definitely something I'd consider! I love IllumiNations, but some of it could be the memories associated with it, such as watching/shooting it for the first time after my first marathon. It was kind of the perfect end to a pretty perfect day (despite being really chilly!). BigEeyore and Professor_Cookie like this. I haven’t been to Universal yet. From everything I’ve seen they’ve really stepped up their game in terms of Experience. I’m not a potter fan so there is no immediate draw for me but I do want to visit sometime soon. I do understand where you’re coming from with familiarity though. I’ve seen my fair share of issues at Disney though. I’d say check it out, especially given your love of FoP. It’s probably more your speed than mine. Disney is not perfect, but the overall experience (rides, theming, customer service, etc) is in a whole other league compared to Universal. Professor_Cookie and rteetz like this. Universal Orlando is not my cup of tea either. They do a great job of theming, but I have no interest in their IP. The two Harry Potter “lands” (I am a true Disney person after all!) are impressive. But, knowing next to nothing about the books or movies, I just can’t appreciate them fully. And, as someone who experiences motion sickness, I can only do some of their rides. Of those I’ve done, I can take them or leave them. I also find Universal crazy expensive! I do love HHN though! I’m hoping to attend one night (and do a RIP tour) when I’m down for Wine & Dine. I like Universal Florida and Hulk is my favorite coaster, but I definitely favor Disney. 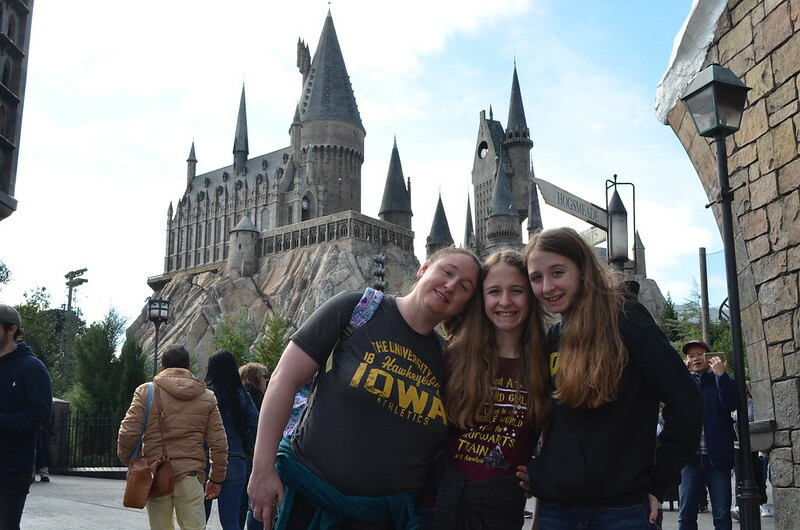 I haven't been since they've opened Diagon Alley so I do want to go, but when I was going to take my daughters for a day, it was going to add about $800 to our trip for one day with Express Passes. So it didn't happen. You do get soaked on their rides. The first time I rode Dudley Do Right, I seriously thought somebody threw a bucket of water on me. And the Popeye rafts are even worse. How did you like the Royal Pacific? I thought the Harry Potter stuff was the best, but it’s definitely not going to have the same appeal to someone who hasn’t read the books. And yeah, the motion rides. Oof. To be honest, I didn’t see enough of Royal Pacific to form an opinion. It looked nice, but we basically only slept there. Sorry you didn't have the best day at Universal- I can totally see where you're coming from though! I think Universal at the end of a WDW trip would be a bit of a let down- no one does vacations like Disney! I call Universal "ghetto Disney"! Truly - the HP stuff is amazing. 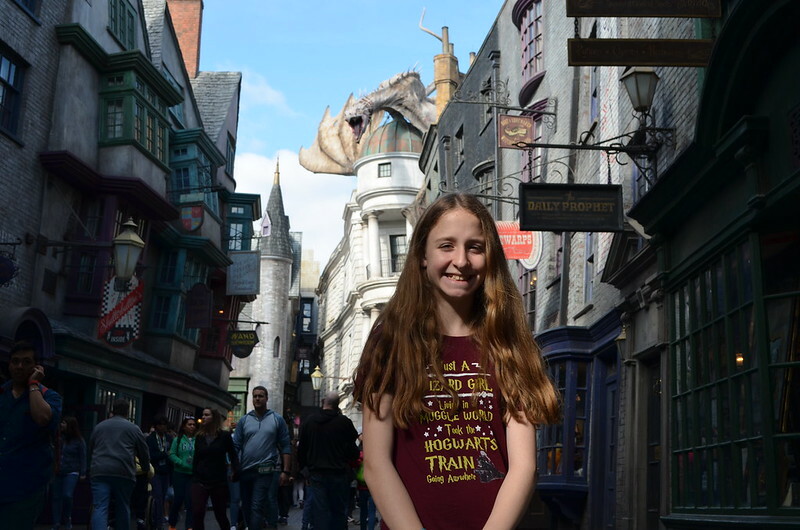 My kids love HP, so that is why we went, and even my Disney-loving self had to admit the HP areas were phenomenal. I can't handle the motion simulators at Universal at all - Gringotts was OK but Forbidden Journey was a no way Jose. I forgot how they make you pay for a locker for your stuff on all of those rides too - such a pain! But outside of HP, Universal is very underwhelming. I do love the Hulk coaster, but the rest of it I can do without. I kind of felt the same about Universal. I absolutely loved the Harry Potter areas and would go for those alone but the rest was pretty underwhelming. It's been a couple years since we were there but I remember feeling motion sick with so many scree-based rides. Great summation of Universal. My wife and I were there Wed and Thurs of that week. I had been before, but had not seen Diagon Alley or a lot of the new attractions that have opened recently (Kong, F&F, Transformers, Fallon). I like the Universal parks, but going to them at the end of what had been such a great 7 days at WDW, including the whole race experience, it truly was a bit of a letdown. The Harry Potter areas are spectacular... and we absolutely loved Gringott's (a great example of using good screen-based technology on a really wild, kinetic ride), as well as Hogwart's Express (and the Kings Cross station was really, really well themed), but the parks lost something when you walked out of Hogsmeade or Diagon Alley. I wish you were able to ride Jurassic Park - which is an awesome ride with great animatronics... something I think your family would have loved. 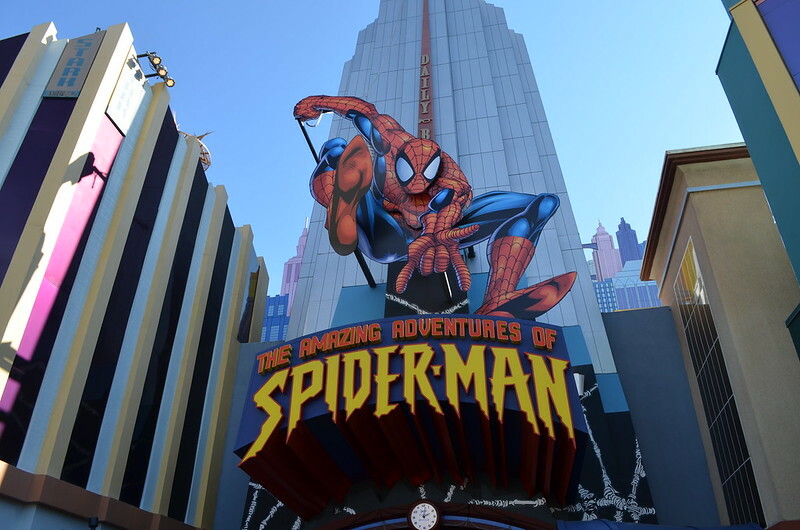 And I really love the Spider-man ride, which is another great use of screens, practical effects, and 3-D. Revenge of the Mummy was also a lot of fun. ...but after awhile, the amount of simulator type rides really start to wear you down. By Thursday mid-afternoon we were pretty much done. We missed our kids, we were wiped out, and we had been on a lot of rides (there was very little wait on practically anything while we were at Universal)... so just like you, we headed back to the hotel, ordered pizza, chilled, and got ready for our very early flight home the next day. In hindsight I'm glad we did Universal, but it was an interesting experiment in seeing how different our experiences were between the two resorts. If anything it proved to me that Disney is absolutely at the top of their game... and despite a full-court press from Universal in the past few years, to me they are really in no danger of losing their crown anytime soon.